iThemes Exchange is the easiest way to get your ecommerce site up and running on WordPress. If you haven’t seen the Public Roadmap for Exchange, check it out. You can vote for features you want to see added to Exchange core as well as enhancements to current add-ons. You’ll see our newest features in the Membership add-on include Members Only Products and Member Table. You asked for it, we built it. You can now restrict physical and digital products to a membership group. 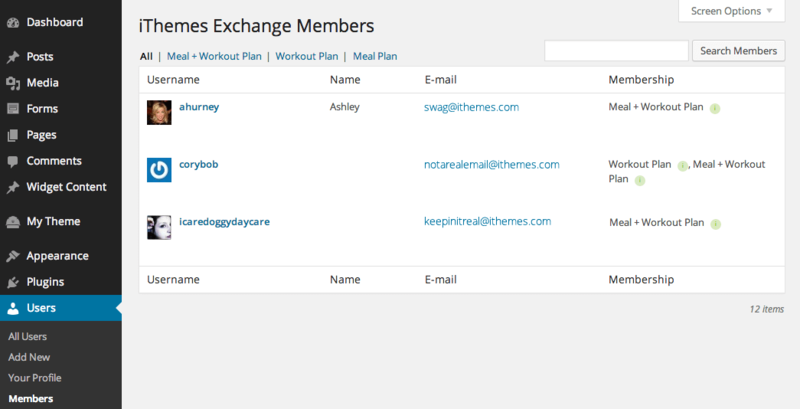 In the example below, I added a cookbook to the Exchange Membership Demo Site. Two of the memberships on the demo site involve meal plans, so naturally I would like to only offer the cookbook to those membership groups. 3) Under Content Access, click the Add New Rule button. 4) From the drop down menu, click Products. 5) A drop down menu of all your live products will appear, then click the one you would like to be available only to the membership you are currently editing. That’s it! We’ve created a product that is only available to Meal Plan members as well as Meal + Workout plan members. 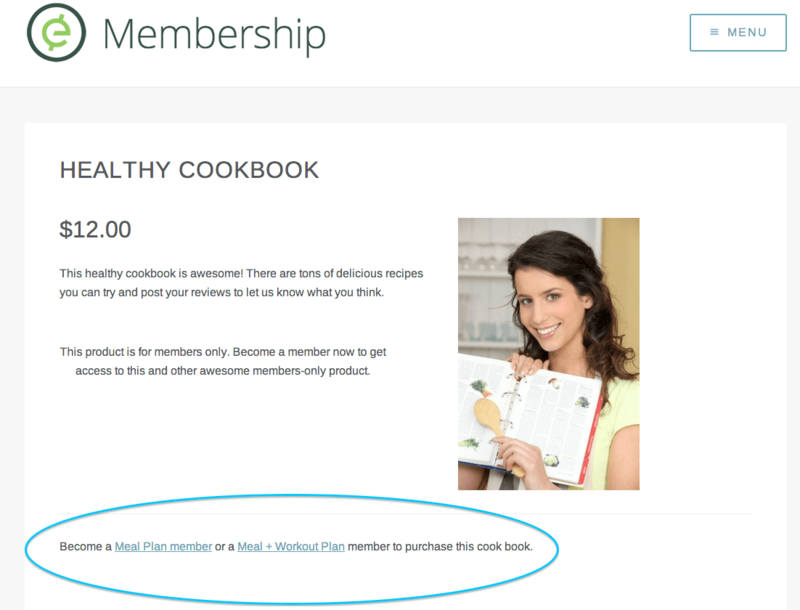 Here’s what the Healthy Cookbook looks like if you’re not a paid, logged in member. I used the Extended Description (in the product page) area as a call to action, to attract memberships. 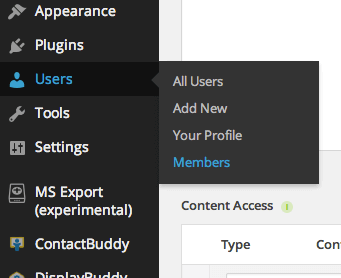 Using the current version of Exchange, you will notice a new option when you click Users in your WordPress dashboard. Now, there is dedicated page where you can see all your members, their username, email and Membership group. 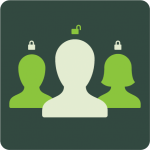 There are tabs for each group to see how many members are in each of your membership groups. There’s even a Search Members feature so you can get right to the member you’re looking for instead of checking pages of usernames. iThemes Exchange is a free ecommerce plugin for your WordPress sites. It’s the easiest way to get your online store or membership site up and running. If you have not tried Exchange yet, get it here. The Membership add-on is a premium add-on available as part of the Pro Pack or by itself. Great news – since it’s Exchange’s birthday this month we are celebrating with 50% off the Pro Pack, just use coupon code BIRTHDAY at checkout.